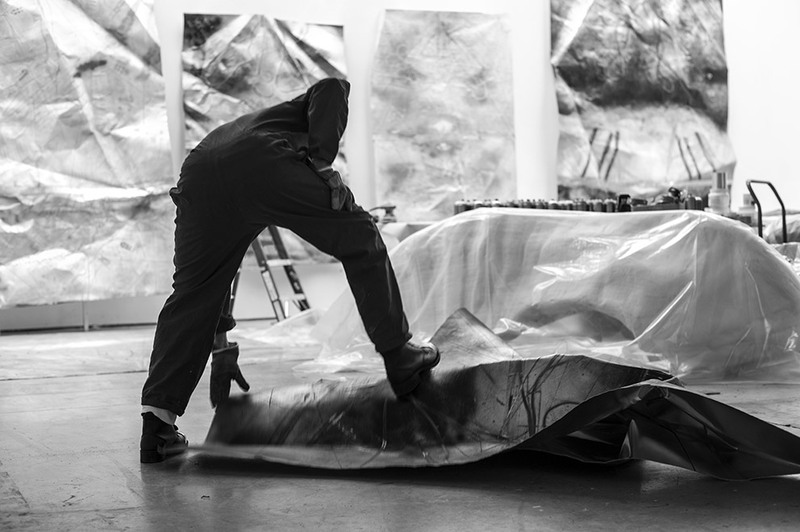 The Toxic Sublime series are distorted, three-dimensional seascapes that blur the boundaries between painting and sculpture. 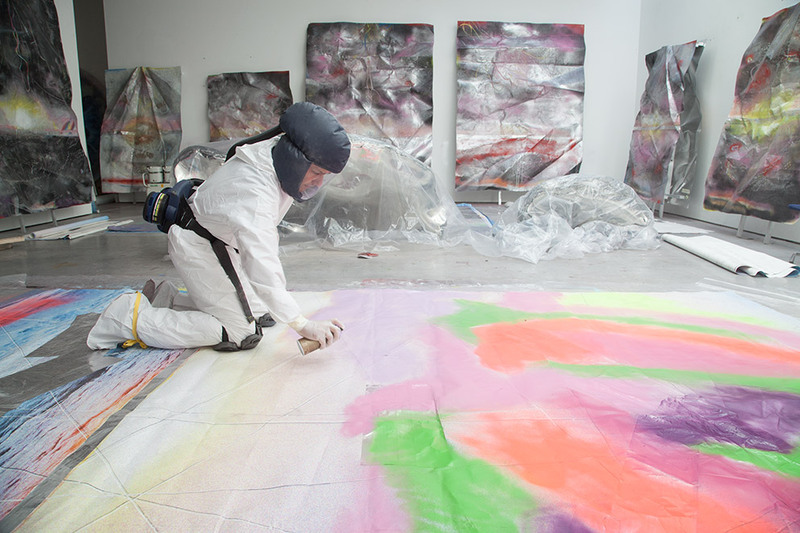 Each work in The Toxic Sublime series begins with an inherently contradictory artistic gesture whereby Quinn submits a photograph on canvas of a sunrise (main image above) to a process of aggressive alteration. 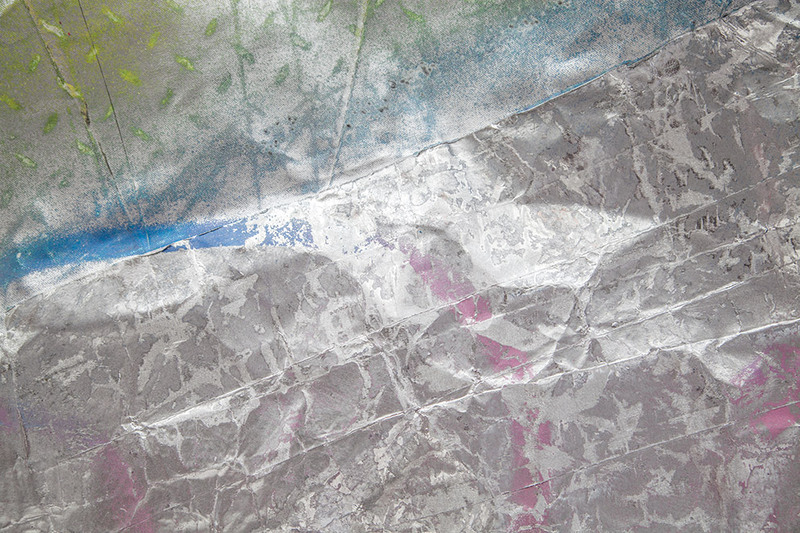 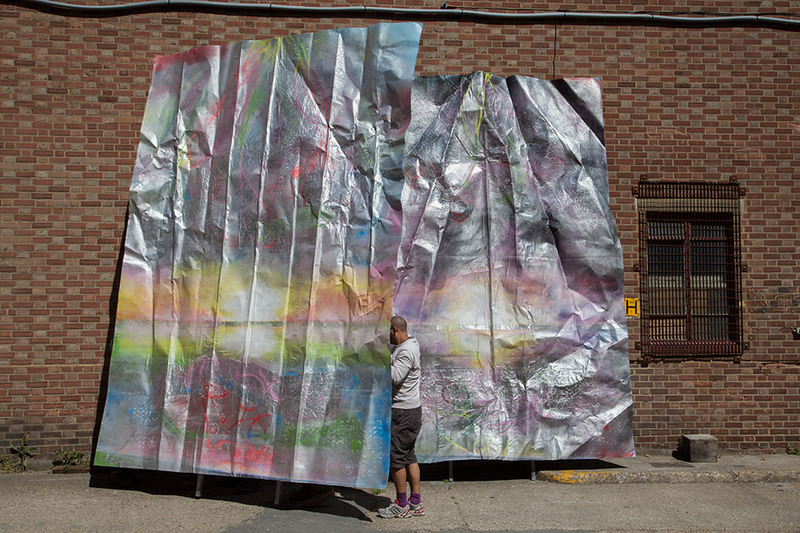 The photograph is first sanded and taped, then spray-painted through various templates comprising flotsam and jetsam gathered from the beach. 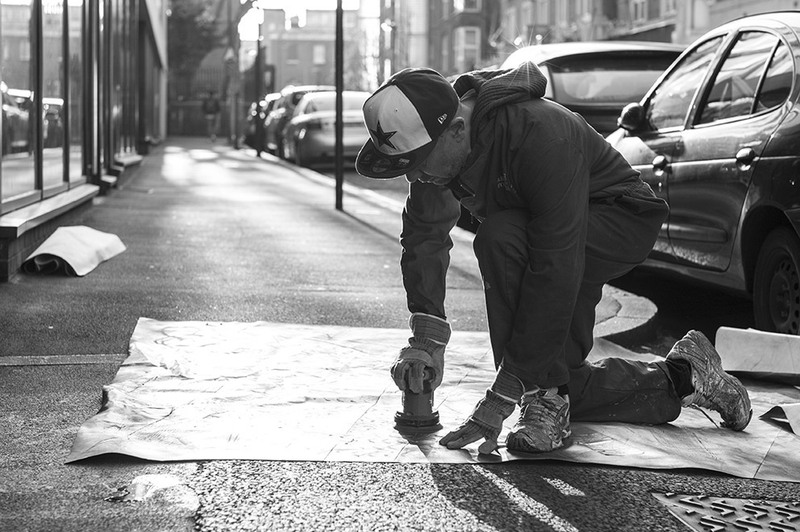 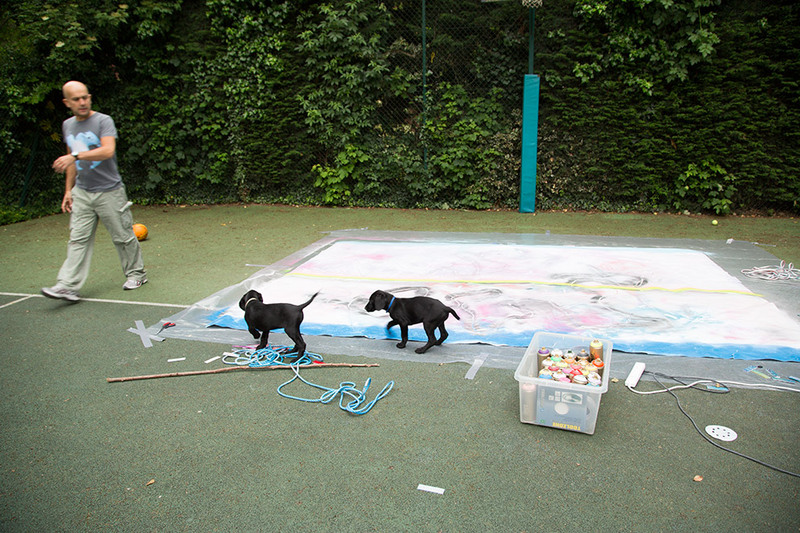 Once this process is complete, the artist takes the canvas out onto London streets and introduces the impressions of drain covers into the surface of the work. 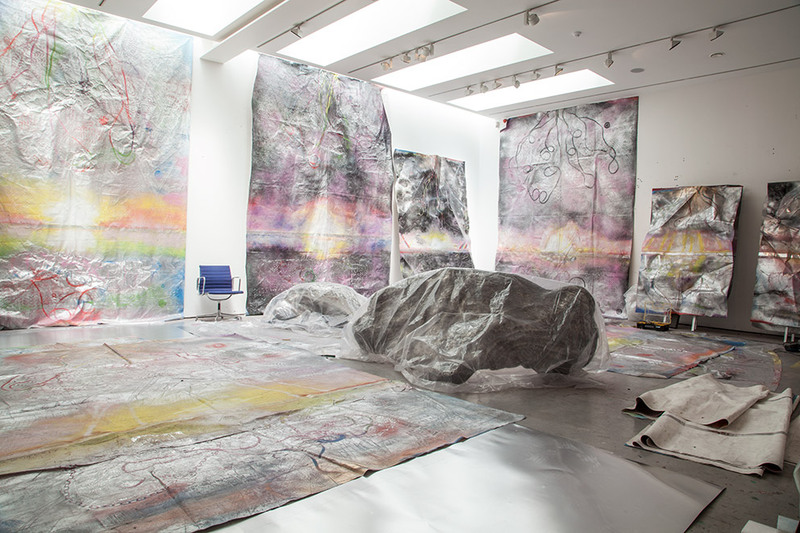 The degraded seascapes are finally bonded to a sheet of aluminium, to be pummelled and contorted by Quinn to create sculptural hybrid objects that not only exhibit the formal elements of classical landscape painting but also are suggestive of something wrecked, as if a pictorial remnant discarded from some kind of physical disaster. 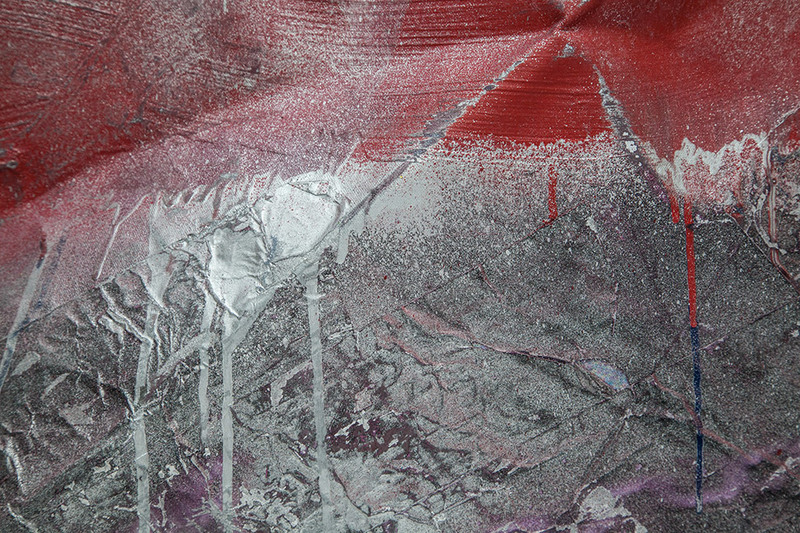 Detail of The Toxic Sublime works. 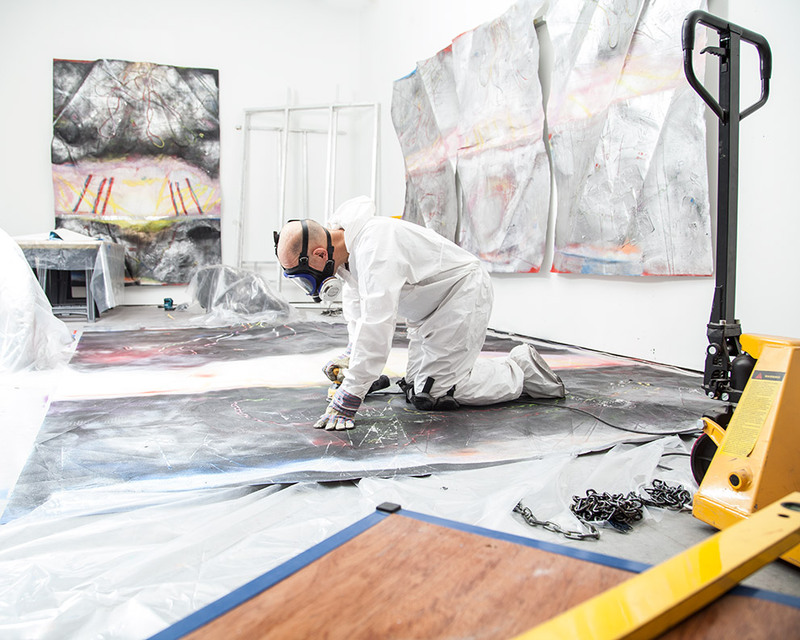 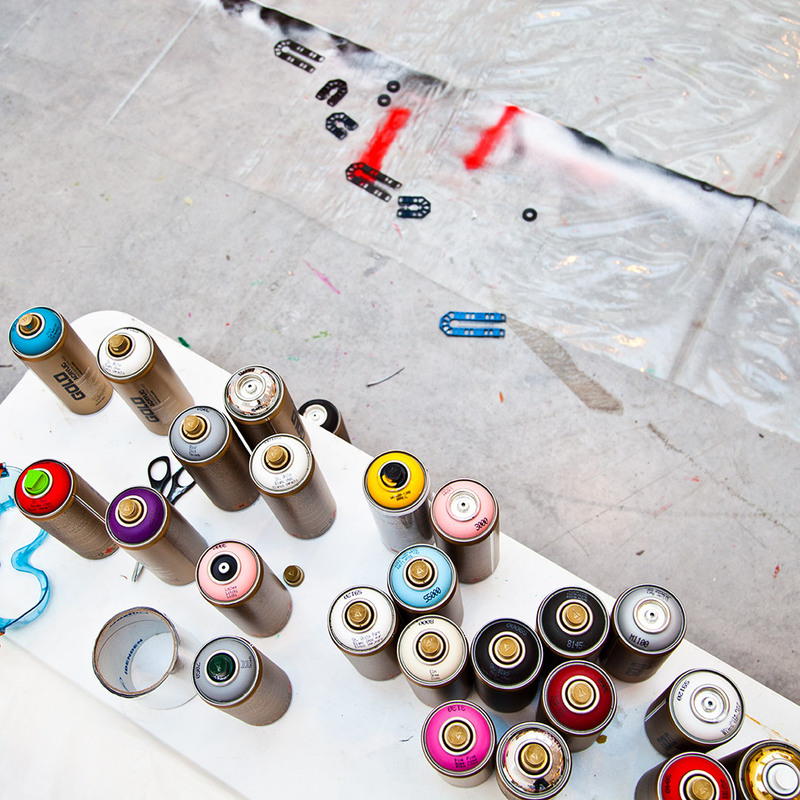 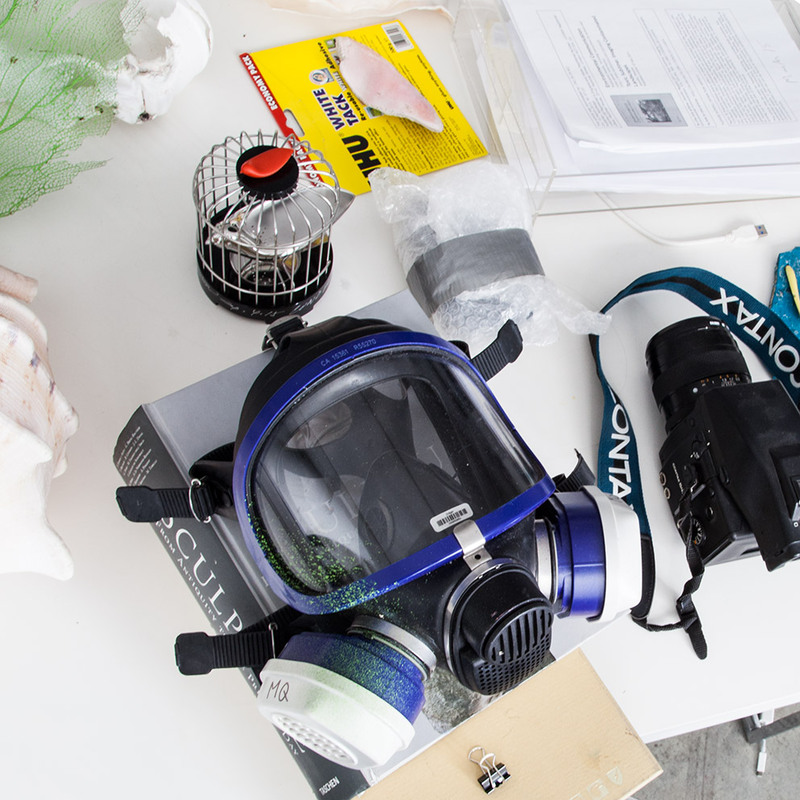 Marc's studio in preparation for the exhibition at White Cube in July 2015.